Cardi B did not get flowers from the great beyond — as she insinuated by thanking Tom Petty for a Grammys bouquet she received — but, TMZ has learned who REALLY did the honors. 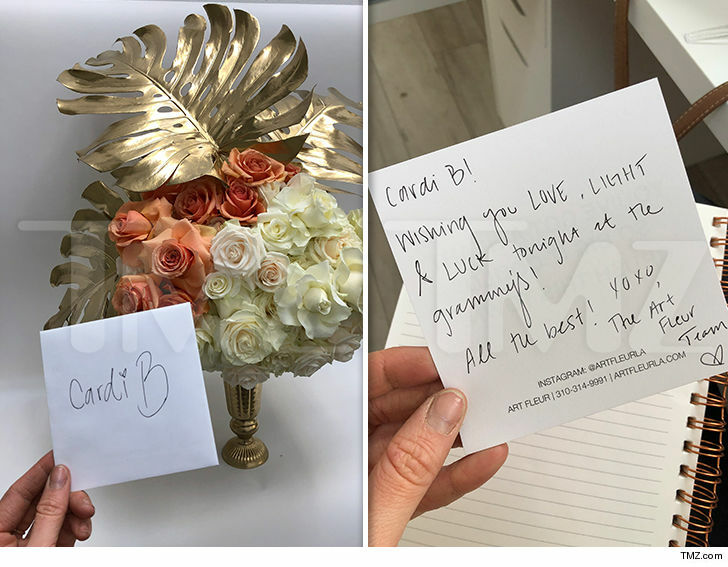 Sources tell us … celebrity florist Annie Wonderlich, owner of Art Fleur, sent the bouquet wishing Cardi luck at the award show. We’re told Cardi is one of her clients, and Annie also delivered a Grammy arrangement to Lady Gaga. 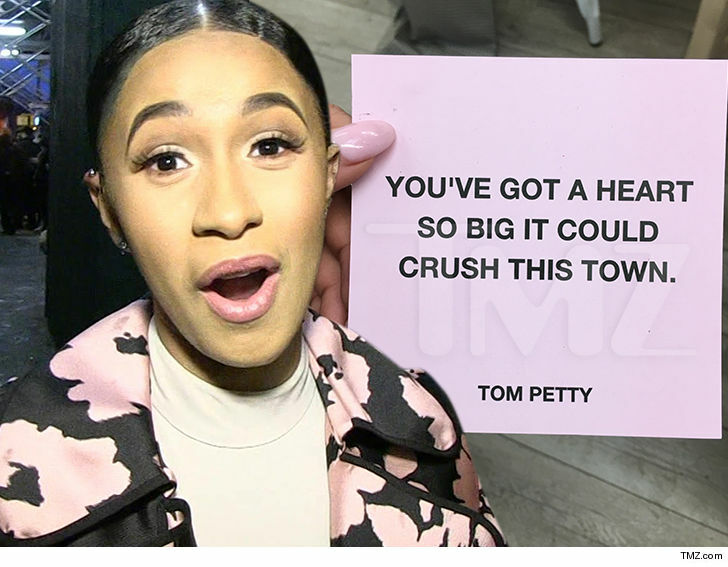 After getting the flowers, Cardi looked at the back of the card — which contained a Petty lyric — and thought they were from him. She thanked Tom on social media … prompting the internet to quickly point out that would be pretty freakin’ amazing (as in, impossible) since TP sadly died nearly 2 years ago. Although, we’re sure Ghost Tom’s probably a Bardi fan. We’re told Annie’s company has TONS of celeb clients, including Kim Kardashian and Taylor Swift, and every special delivery comes with a card quoting someone famous — like Oscar Wilde, Claude Monet, David Bowie, and in this instance, Petty. As for the flowers … we’re told the $600 arrangement is dubbed “Ms. B” and stands 3 and a half feet tall!!! There are 250 vendulas, orange crush and garden roses … and monster leaves painted with 24-karat gold!!! Yeah, if you spend that much on flowers, you deserve the credit. No offense to Tom … who we all know was more of a wildflowers guy anyway.